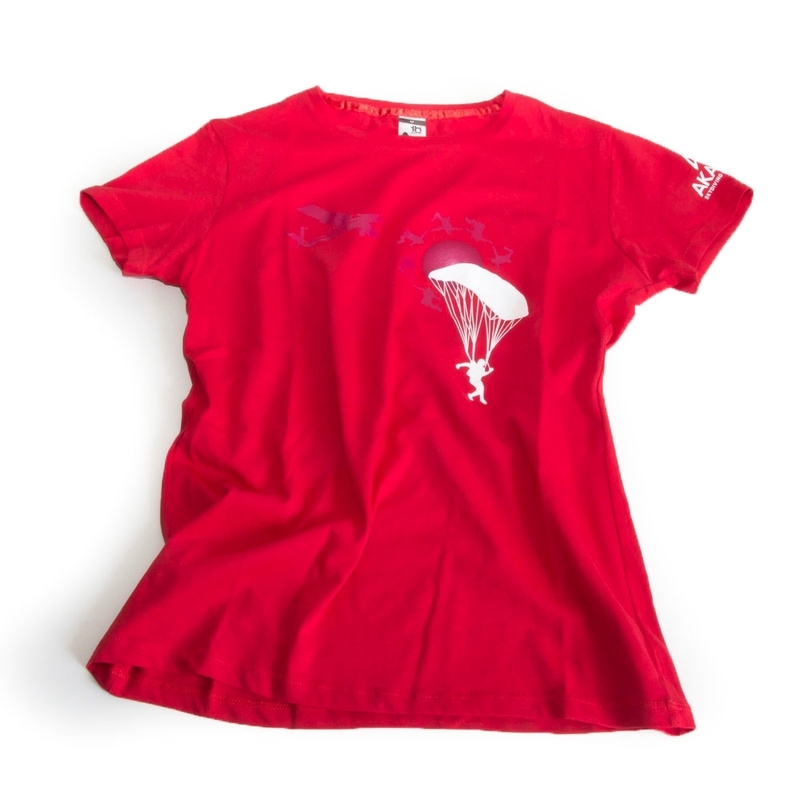 Lady pink skydiving T-shirt. Skydiving accessories -AKANDO - gloves, goggles, gearbags and accessories. Limited edition T-shirt for ladies only! Please select one size bigger than you normally wear due to small sizing.